they thought it was a good idea to give the series a ten year hiatus? I actually picked up a copy today and started playing a little bit. Had a ton of Tsutaya points so I ended up getting it for 1,000 yen. Since each copy comes with 60 free days, I figured it'd be worth the price even if it was garbage. At first when Aeana was telling me about the UI I wasn't too sure, but on further play you guys are right. The interface looks to be a part of the app, or at least certain elements of it. Considering u already try this game, I had some question here. Is it possible for me outside of JP to play this game? And does the game plays well like is there tons of lags or bugs? Considering I just see that Kanji is close to unreadable, is it really ruining this game? You shouldn't be able to, as Squeenix put their IP-lock back in place a few days (weeks?) ago. I'd be surprised if the 3DS version didn't have the IP-lock. T_T even if I had JP 3DS I guess? Is there no way to bypass that? Like to change my IP into JP? 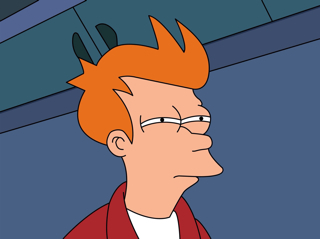 i wonder if they're prepping the system for monster hunter 5 like square enix is prepping the ps4 for dragon quest xi. Guess Dengeki is agreeing with Famitsu over Media Create this week, then. Nice software sales for Vita, doesn't seem to have bumped console sales much though. And a PSP title above Mario Kart 8, who would've thought we'd see the day. I'm surprised to see DQX 3DS sold out, the shipment probably is quite small. Dengekis hardware sales are more inline with MediaCreate this week. It´s interesting that next week we actually have a somewhat comparable game to MH PSV with DQX 3DS. Both games are the x-th port of an online-subscribtion game based on very popular million selling IPs. I know Dengeki don't track VitaTV in Japan anymore, which goes part of the way to explaining why they're always miles off compared to the other two. I understand the comparison, but Frontier Online (and G) sold like crap on every system they've released on. Dragon Quest X sold very well on Wii (and WiiU to an extent). Software numbers lean towards Famitsu being more accurate, but lol indeed. Monster Hunter can be called a handheld franchise, their big successes were on handhelds anyway. Media Create trying to downplay the success of RabuRaifu confirmed. Jokes aside,was a SKU lost in transition or something? The differences are ridiculous. Love Live! discrepancy is huge. That's really strange. They're tracking 3 SKUs and adding them (Dengeki has them separate), so if there's a discrepancy in the extrapolation based on audience distribution for this title, it's going to be magnified this way. MC probably tracked each SKU selling about 20k, while Famitsu has each just under 30k, and Dengeki has each one over 30k. On their own, it's about a 10k difference, but added together it create a much larger gap. This article say Dragon Quest Super Light make 800 million yen/month. This game is doing very well. DQ 11 on mobile to make 8 billion yen/month. The power of a mainline Dragon Quest. Not to be trifled with. How does it play in general? Does it work well with a decent Internet connection? That game is supposed to rely even more heavily on your Internet connection than the average MMO. This week is really weird lol. But Dengeki and Famitsu have kind of similar numbers, while Media Create it's the one with the most different info. Maybe they've added some retailer that wasn't giving them their data (some online one like Amazon or whatever)? It's not just the resolution though. The 3DS version uses a different font for all the text. A font appropriate for the smaller resolution. The point is there is no reason not to use that other font on the server side when you're already rendering in a different resolution. As for readability, fonts on (3)DS often are less than optimal but this one is pretty bad even compared to many others. Hope they can optimize it a bit. You can do that with a VPN. That is how we're playing the Wii (U)/PC versions. Which tracker should I believe? We could keep spinning this all day long (the "Frontier" line of games has never been on handheld before; mainline Dragon Quests have), but I do genuinely think that Dragon Quest X is going to perform miles better simply because it's a more popular game. Phantasy Star Online 2 showed that MMO's can sell on Vita, even F2P one's just with retail packages. I think MH Frontier is just a particularly unattractive product that's been given like 7 years to find popularity and just hasn't managed it anywhere. Whereas DQX was a success from the start (though admittedly, I don't know how subscriptions have held up on both). Well, given its production values, I don't think the software house can complain. Medarot could keep going as a low-budget niche series, selling 50k units, and hoping for something better sometimes. Already looking for excuses? Why do you even feel the need to? It will be a just comparison between games with a similar business modell. Anyway PSO 2 is a Free2Play game on PSV, without a monthly subscription fee but with ingame transactions. Do we know what MHF's total subscriber base is? It wouldn't surprise me at all if was near the ~300k DQX maintains. Well, if Capcom's still going at it after so many years, that means it's profitable enough for them. Don't think it's nearly as successful as DQX though, especially since DQX got some free hours every day (unless they got rid of that?). Felistella is developing Luminous Arc Infinity. They're made up of former Flight-Plan staff I believe. Tose co-developed RE Revelations 1 so if 2 is being made by the same team then it'd be them too. Deemo's dev is just "Rayark"
I don't think they've actually announced what Touhou games/fan games are coming to PS yet; the ones you've listed are just the ones used in the announcement. Rayark's new logo could probably be clearer. When I googled Arayark I got a lot of results that seemed to think they were called that too, but it seems to just be a stylized "RA" combined symbol where the R is less clear if it flashes by. The one that best fits your agenda, whatever your agenda may be. I guess they didn't ship many copies to prevent server overload. Alright, keep your knickers on. I do see where you're coming from, I just think you were comparing a port of an MMO which was pretty damn successful on 2 consoles with a port of an MMO which performed pretty terribly across 4 different systems. It's kinda obvious how it's going to turn out. But if that's a comparison you feel is appropriate, then go for it. When in doubt, go for the middle. If it's wrong, you're only half wrong, and if it's right, well, you're half right. It looks so good I wanna make an actual thread just for it. Thanks. I'm going to copy bump this. If it keeps holding, which it's done a pretty good job of so far, we're looking at about $91 million a year ($7.6 million per month). Very solid margins on that too. That would be the equivalent of about 500,000 $15 a month subscribers to an MMO. is this for the New 3DS, right? Not for the New 3DS LL...? cause it seems to make reference to the faceplates..
Yeah. 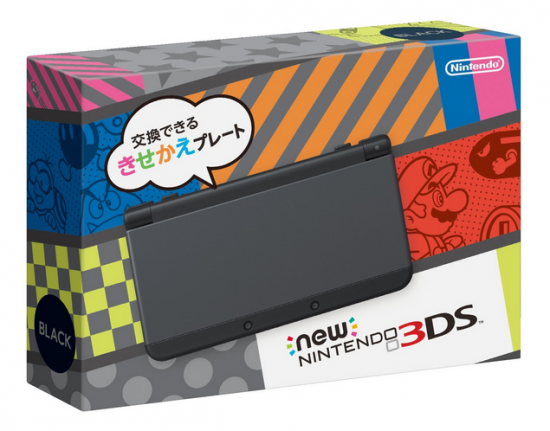 It's the New 3DS based on the image. Interesting. I believe they released a patch, last week. Or was it this week? I wonder what the LL box will look like. By the way, question for Mpl90: does Comgnet track hardware pre-orders? Not everybody has a forninho in Brazil. wow, I love this package design. Anyone want to take a quick look at the reviews? So I see the Medarot series mentioned in these threads a lot and don't know anything about them except Takao is a huge fan... what kind of games are they? Can't read everything now cause is late. They're complaining about errors, can't connect and play, the sound is bad and even in XL version is difficult to read Kanji.